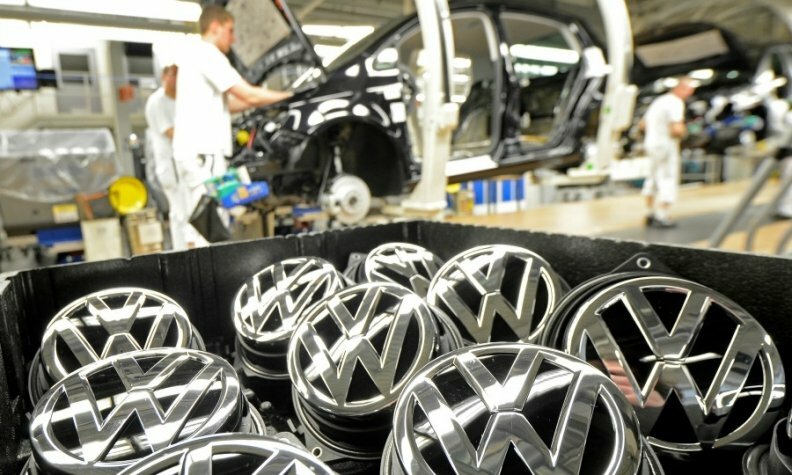 BERLIN -- Volkswagen Group expects global deliveries of its core brand to keep growing in the months ahead but sales are driven almost exclusively by Chinese demand. Volkswagen said brand sales appeared to have turned a corner after growing 4.4 percent to 511,500 in October, the third straight monthly gain, following a run of mostly declines in the February-to-July period. Ten-month brand sales were up 1 percent to 4.89 million cars. "The positive overall trend for the Volkswagen brand has stabilized compared with 2015," brand sales chief Juergen Stackmann said in a statement today. "The trend is therefore clearly headed in the right direction, but we still continue to work on the challenges the brand must master in some regions." The brand's chief, Herbert Diess said on Thursday that he expects full-year deliveries to exceed the 5.82 million sales reported in 2015. VW brand sales rose 19 percent in China last month but fell across major markets. In western Europe, volume slipped 8.5 percent, weakened by a 21 percent drop in Germany. In the U.S., sales fell 19 percent, while in South America, sales plunged 36 percent as Brazilian demand dropped 47 percent.